LEARN MORE + BUY NOW ! 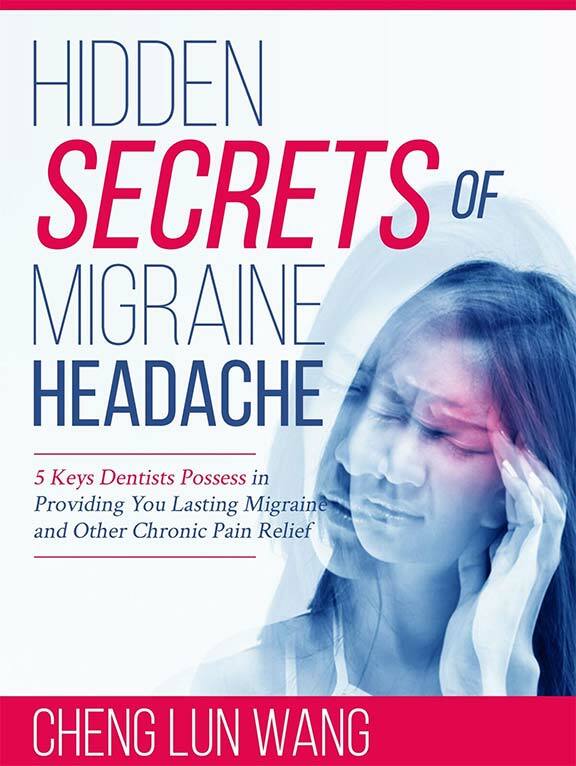 Chronic head pain, migraines, TMJ/D, tinnitus and other pains of the head, neck, face and jaw could be caused by improper or unbalanced dental forces. A painless examination by Dr. Wang can quickly determine if your symptoms can be resolved by a drug-free, needle-free system. Headache disorders impose a recognizable burden on sufferers including sometimes-substantial personal suffering, impaired quality of life and financial cost. Repeated headache attacks, along with the constant fear of the next one, damage family life, social life and employment. The long-term effort of coping with a chronic headache disorder may also predispose the individual to other illnesses. For example, depression is three times more common in people with migraine or severe headaches than in healthy individuals. In the past, dentists were trained to fix your teeth, straighten your teeth, whiten your teeth and even replace your teeth. However, dentists were not trained or equipped to diagnose and treat symptoms caused by the complex forces that operate and control your head, mouth, jaw and teeth. With new technology, dentists are able to quickly examine your bite and range of motion. They can also show you the source of pain. The BC Head Pain Institute treatments are painless, pleasant and require no drugs or needles. Utilizing systems and methods perfected in sports medicine, Dr. Wang may be able to rapidly and painlessly resolve issues from which many patients have been suffering for years.